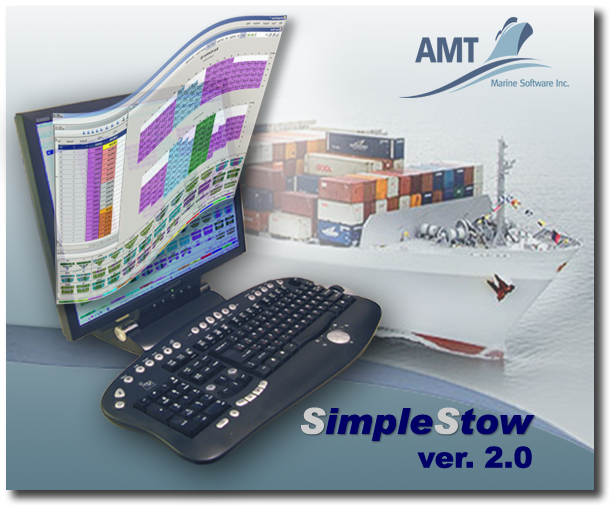 We are very pleased to announce today the official release of revised and improved SimpleStow version 2.0 – our flagship software for container stowage planning and data processing. Since release of the first version of SimpleStow the program steadily gains popularity: over 500 individual and corporate customers have already registered and downloaded the software. We followed their priceless feedback and practical suggestions as the guideline in further development of the program. Added function to import and export MOVINS – one of standard EDIFACT container stowage messages. Added capability to import and render bay plan from structured text and Excel (CSV) files as an alternative to BAPLIE. Useful when your partner terminal or agent has no means to produce and provide you with BAPLIE. New function to apply filter and hide containers in the bay plan on the screen and in the reports, and when exporting BAPLIE messages. Useful when you want to see and report only relevant containers matching user-defined criteria. Additional options in custom report formatting to add and resize company’s logo and manipulate quality of bay plan reports. Improved logic when importing BAPLIE in an existing bay plan with preliminary stowed containers. For more information visit SimpleStow Overview page.